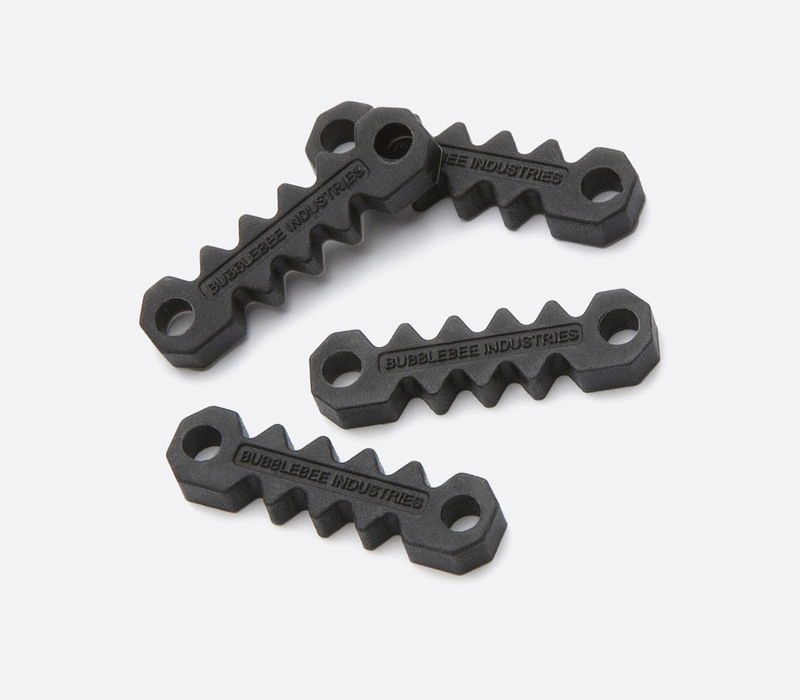 The Bubblebee Cable Saver is a ‘durable black rubber’ device that adds elasticity to a lavalier’s cable and therefore helps increase longevity whilst reducing friction noise from cable rub. 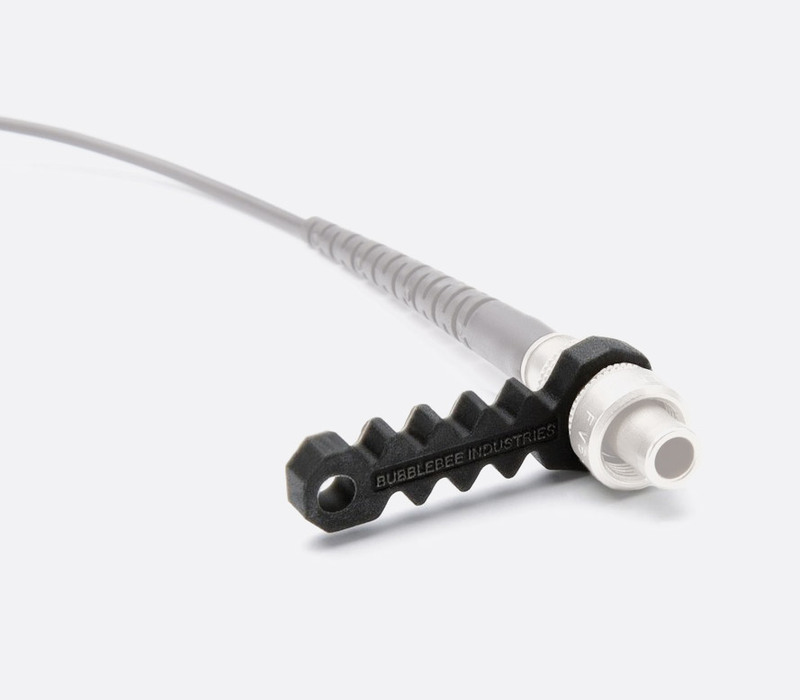 The Cable Saver can be positioned to either termination or capsule ends of the microphone by pushing the capsule or connector through the ‘rubber eye’ then tightly winding the microphone’s cable around the dents in the center before pushing the same end of the microphone through the second ‘rubber eye’. 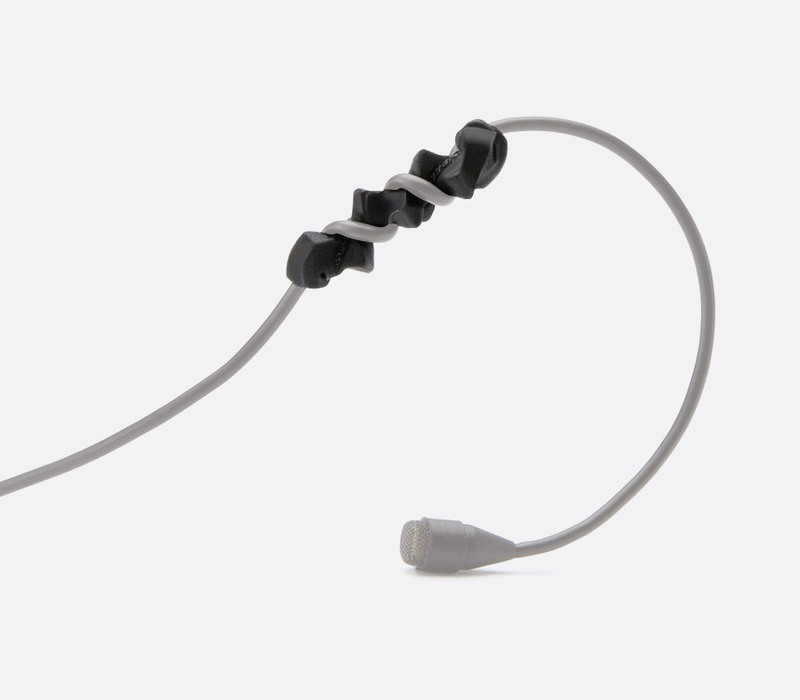 More than one can be added to a single lavalier microphone cable, normally one at each end, to give improved elasticity. 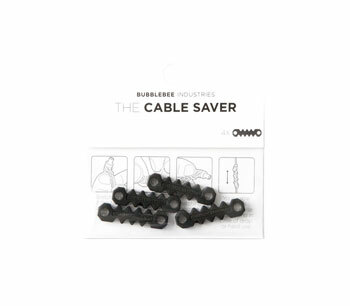 Ordering Note: Bubblebee Industries do not recommend use with a Countryman B6 as tests have shown the microphone/cable is too small and fragile.